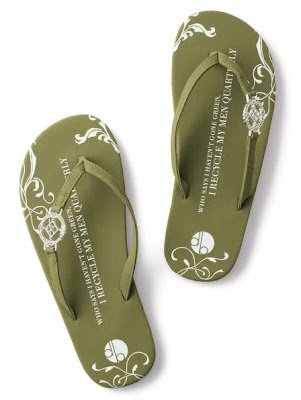 New this year from Girl Two Doors Down...Great Moss Green flip-flops in flats or platforms. The best fitting flip-flops ever - and this is from the girl who wears flip-flops all year round - even in the snow!?! These designer flip-flops have been spotted on some of Hollywood's fashion finest!